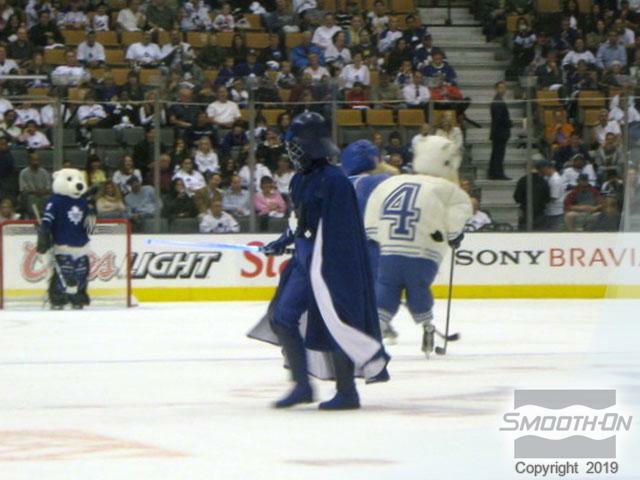 When the Toronto Maple Leafs NHL hockey team needed eye-catching costumes for their 3 new mascots, they needed only to look in the backyard. David Pea's Universal Designs is located in the outskirts of Toronto, Canada. 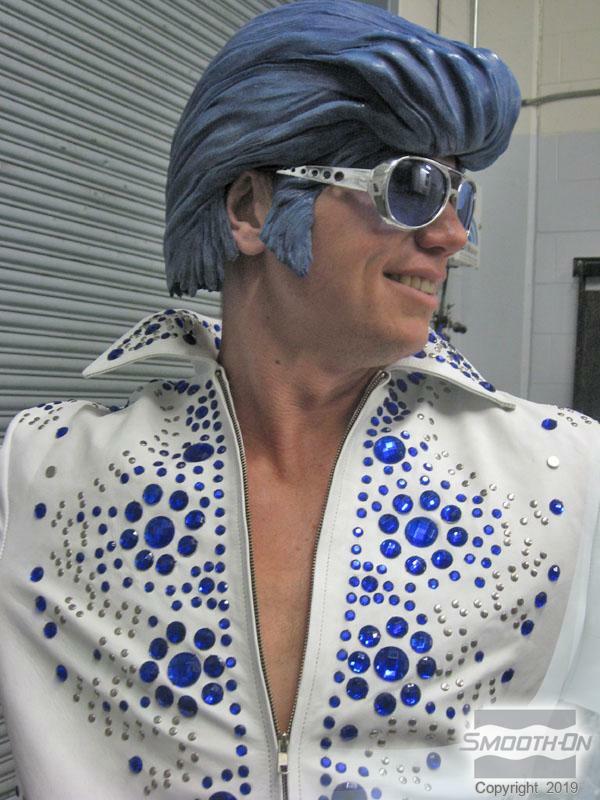 As David and his crew have been creating premium quality custom costumes for years. 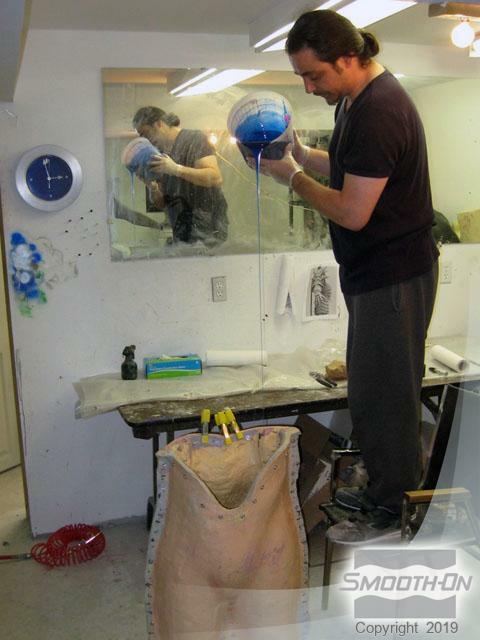 Originally David used fabric and latex for his creations, but as he began incorporating Smooth-On silicones into his work process, he found that he could create a costume with the look of fabric in a fraction of the time. 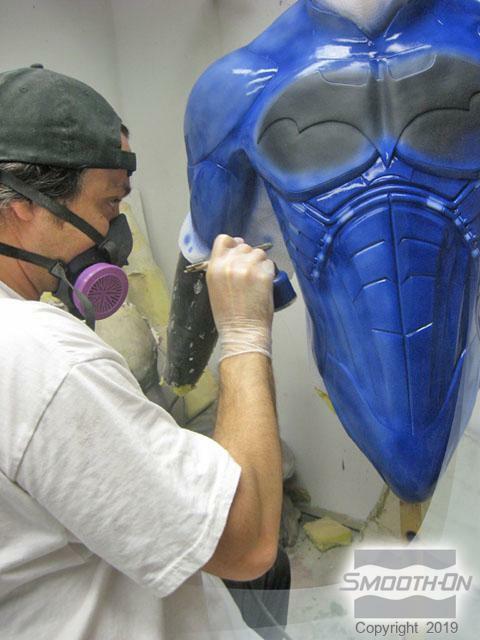 Universal Designs specializes in both all-silicone promotional costumes and costumes made using silicone, fabric, foam, leather, resin, or any combination of materials. 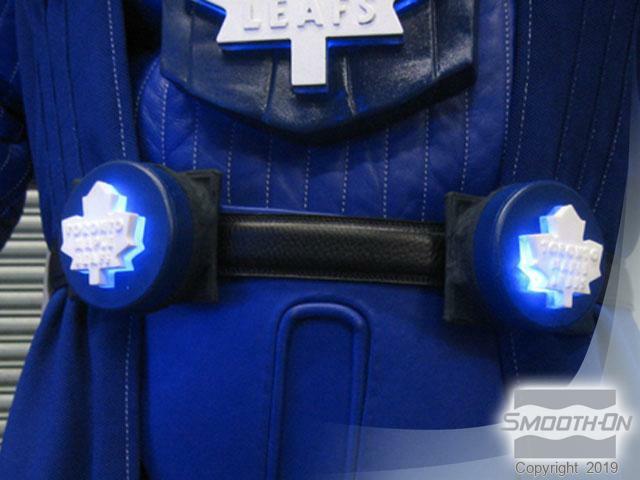 As an ardent Toronto Maple Leafs fan, David was honored to work on this very special, and highly visible project. 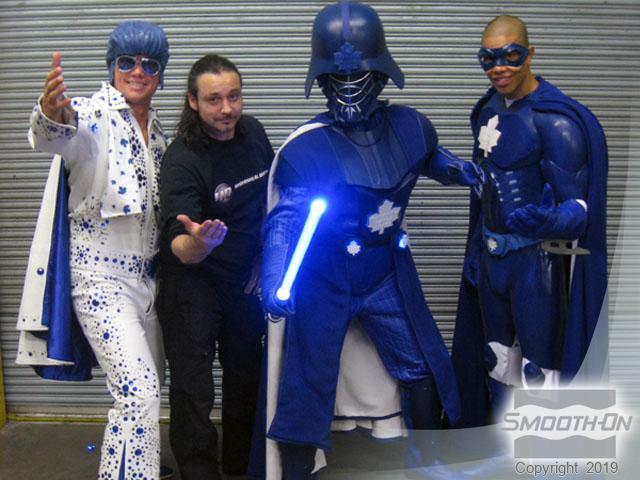 Everyone attending a Maple Leafs home game will be able to interact with GARTH SKADOR, CAPTAIN MAPLE LEAF, and ELVIS PRESLEAF. Part of the sculpt of the 'Captain Maple Leaf' costume. 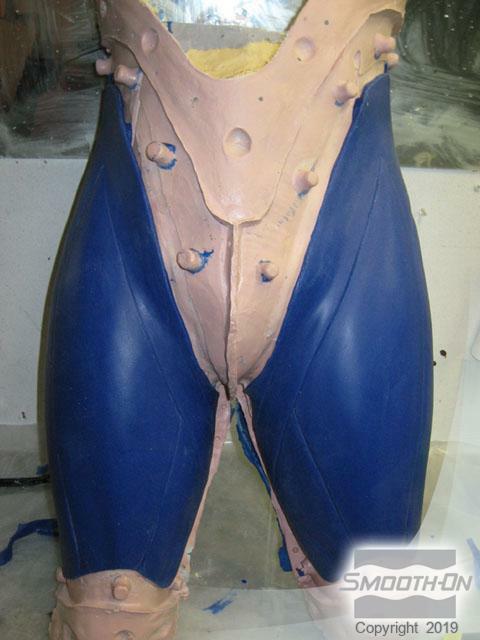 The sculpted leg sections are molded in Brush-On 40. A Plasti-Paste support shell is applied. 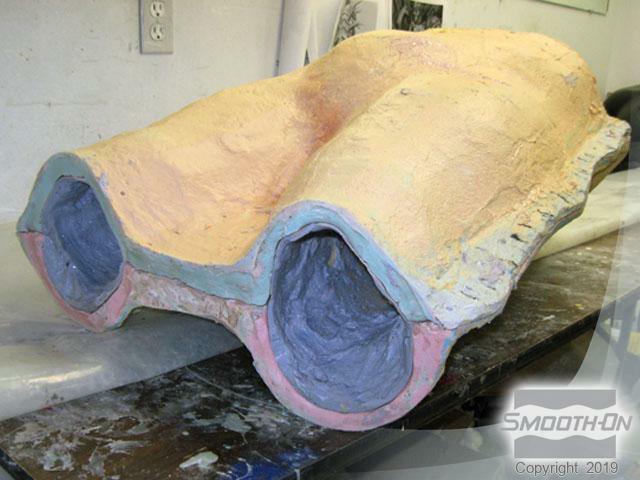 The finished mold consists of inner and outer sections. Dragon Skin Slow is poured into the mold. 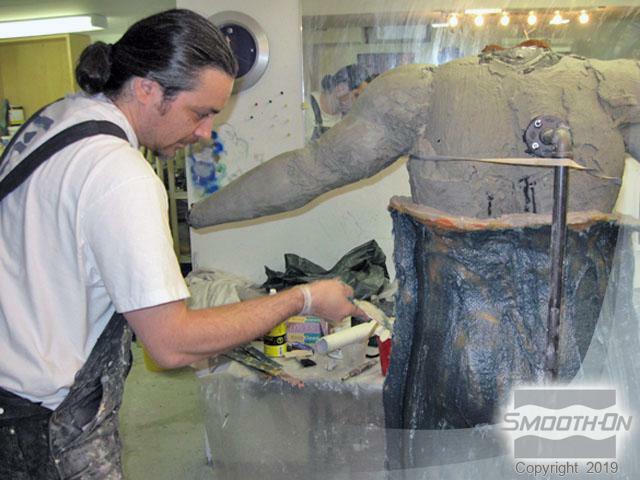 After the silicone cures, the outer mold is peeled away. 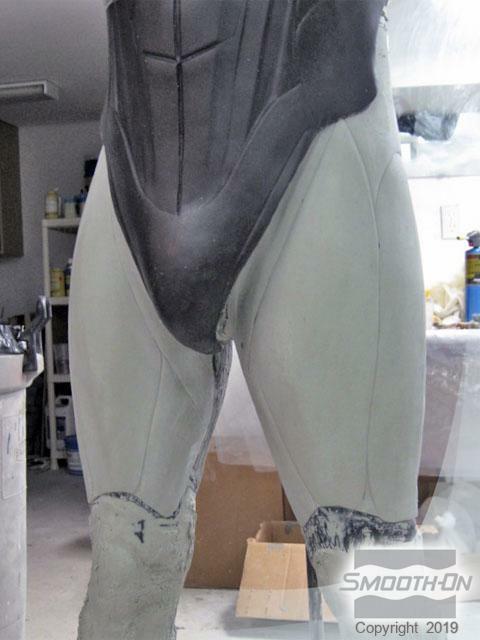 The leg sections are ready to be trimmed and installed on the suit. The suit chestplate is painted with Psycho Paint. 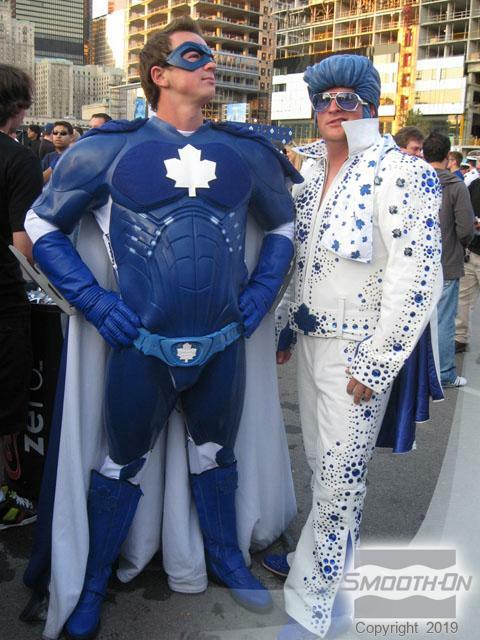 The finished 'Captain Maple Leaf' suit next to 'Elvis Presleaf'. 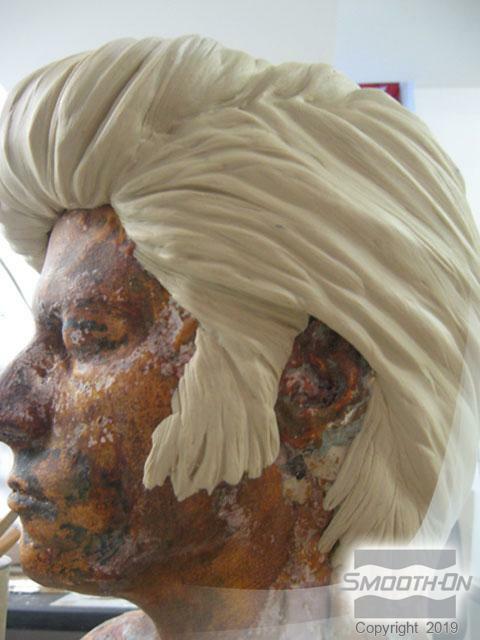 'Elvis Presleaf's wig is sculpted in clay. 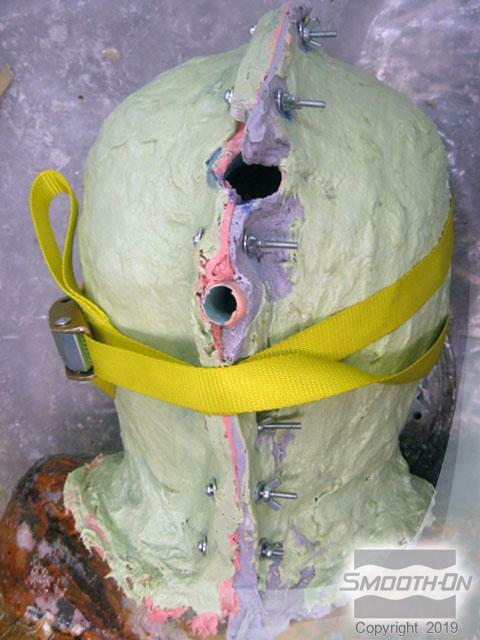 The wig is molded in brush on rubber. A Plasti-Paste support shell is constructed. 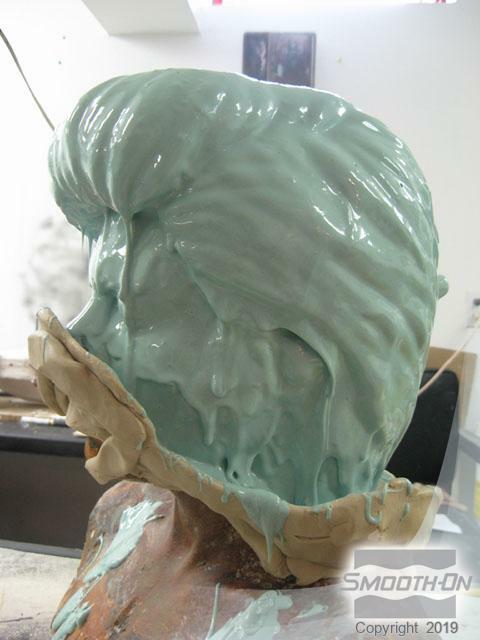 The wig is cast Dragon Skin pigmented blue. 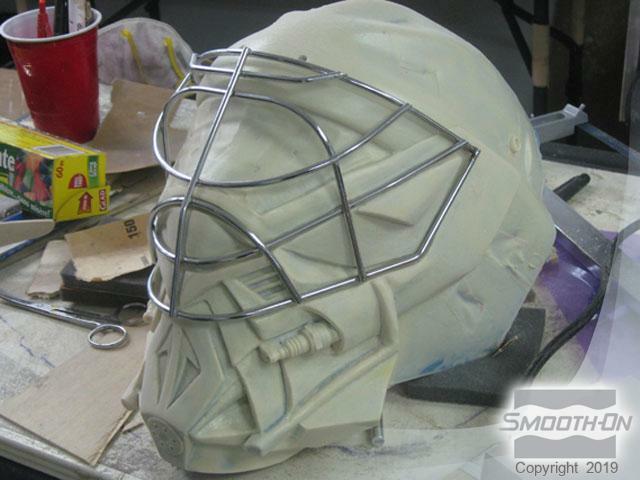 The 'Darth Skador' mask in an early sculpted stage. Crystal Clear resin cast maple leafs are lit using LEDs. 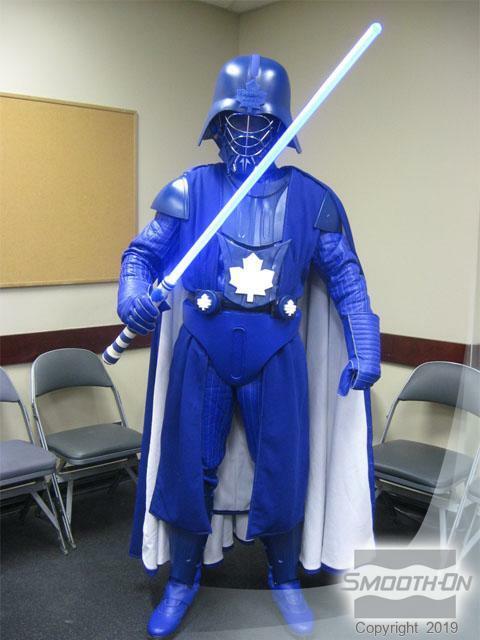 'Darth Skador' makes his appearance on the ice. The finished costume with blue lightsaber. The completed costumes exceeded the clients' expectations in every way.